Finally, The panel so prepared is to be intimated to the state, which shall then immediately select and appoint one of the candidates empanelled. The Bench had also directed that any legislations/rules that may have been framed by the states which affect the 2006 judgment shall remain in abeyance, granting liberty to any state having an issue with these directions to approach the apex court in an application for amendment. "Any opinion expressed by this court at this stage may have the effect of prejudging the issues. What has to be seen is the purport and effect of the directions in Prakash Singh's case, followed by those passed in July, 2018. We are left with no doubt that the same directions, keeping in mind the spirit in which the court has proceeded in passing them, are wholesome and, if implemented, they will subserve public interest until such time the matter is finally heard...", observed the bench of Chief Justice Ranjan Gogoi and Justices L. Nageswara Rao and S. K. Kaul on Wednesday. "My argument yesterday was that the UPSC empanels three candidates and we, as the state government, make a selection based on experience and exposure from this panel as recommended by the UPSC...But now I stand corrected. This is not the position in the states. Actually, The UPSC does not come into the picture for the states..."
"The court must have been aware of this notification while passing the directions. It was a conscious decision that you must go to the UPSC", noted Justice Rao. Next, Senior Counsel Vijay Hansaria, for the state of Kerala, contended that under the federal structure as contemplated by constitutional scheme, the UPSC is not required to be consulted in the appointment of the DGPs of the states. He pointed out the reply of the Centre in this context- that the Constitution of India clearly earmarks the functions of the UPSC as the Public Service Commission of the Union, that Article 315 envisages the UPSC to serve all or any of the needs of a state only if so requested by the Governor of the State and with the approval of the President. Representing the state of West Bengal, Senior Advocate Anand Grover, indicated that in view of Article 321, the functions of a Public Service Commission may only be extended by way of a law- "Here, it has been done by a judgment. We follow the 1999 guidelines in the composition of the Committee of which the UPSC is not to be a part. Our act provides that the police is under the state government which is not under challenge..."
It may be noted that The Punjab Legislative Assembly had in August cleared the amendment to the Punjab Police Act of 2007. The panel of IPS officers, from which the DGP is appointed, is now to be recommended not by the UPSC, as mandated by the top court, but by a committee comprising the Chief Secretary, Principal Secretary-Home Affairs and Justice and the outgoing DGP of the state. Further, The Amendment provides that "the state government shall select the DGP from a panel of at least three eligible IPS officers borne on the cadre of Punjab or any state cadre, who are in the rank of Director General or are eligible to hold this rank for appointment as the DGP, based on their service record and range of experience, having a reasonable period of remainder service left, which shall in no case be less than 12 months as on the date of appointment"
It also envisages a State Security Commission to select the candidate to be appointed as the DGP from the panel. The proposed Commission shall comprise the CM as the chairperson, the state Home Minister as the vice-chairman, and as members the Leader of the opposition in the Assembly, a retired high court judge, the Chief Secretary to the state government, the Principal Secretary- Department of Home Affairs and Justice, the state Advocate General, the outgoing DGP and two eminent citizens. 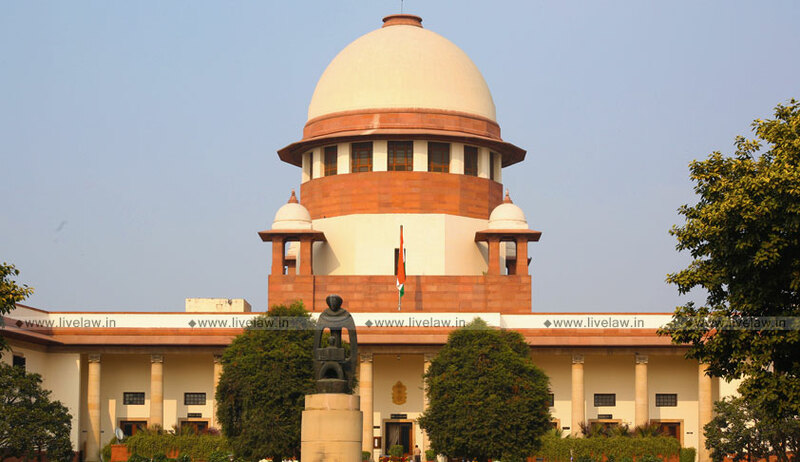 In his turn, Senior Counsel P. Chidambaram, for the state of Punjab, ventured that it could have been an expression of the court's opinion for the selection to be made by the UPSC or it could be a statement of a fact that the court was led to believe- "Our submission is that the UPSC has no role to play in the states...as far as we are concerned, the persons eligible to hold the post of the DGP are considered by a three-member committee of the senior most officials...Punjab is a border state where extraordinary circumstances could arise, making it impossible to find an officer from the same cadre...hence, the amendment should be allowed and directions modified..."
The court recorded that Attorney General K. K. Venugopal has laid stress on Entry 70 of the List I placing the All-India Services within the jurisdiction of the Union, and hence, the appointment of the DGP by a selection made by the state government would be of doubtful legal authority. But in reference to the federal structure, the union has suggested that a composite committee of the representatives of the state and union should make the decision. The States have relied on Entry 2 of List II to the effect that the police is the exclusive subject of the state. The UPSC Secretary, present in person in the court on Wednesday pursuant to the order of the Supreme Court, indicated a Ministry of Home Affairs notification of 1958 stating that it shall not be necessary to consult the Commission in regard to the selection for appointment to a post included in an All India Service, of any Officer who is already a member of an All India Service. "We form a committee headed by the UPSC chairman and comprising four other members. We call for the papers of the eligible officers and examine the same. The committee recommends for empanelment those whom it deems fit...since 2010, we have made recommendations for the panels of 12 states. after 2018, we have done so for Meghalaya and Jammu & Kashmir, while Chhattisgarh and Bihar are in the pipeline", the officer submitted. "The submission of the UPSC Secretary further fortifies our view that the Prakash Singh directions do not require any modification...", reflected the bench on Wednesday, dismissing the applications of the states in that behalf.